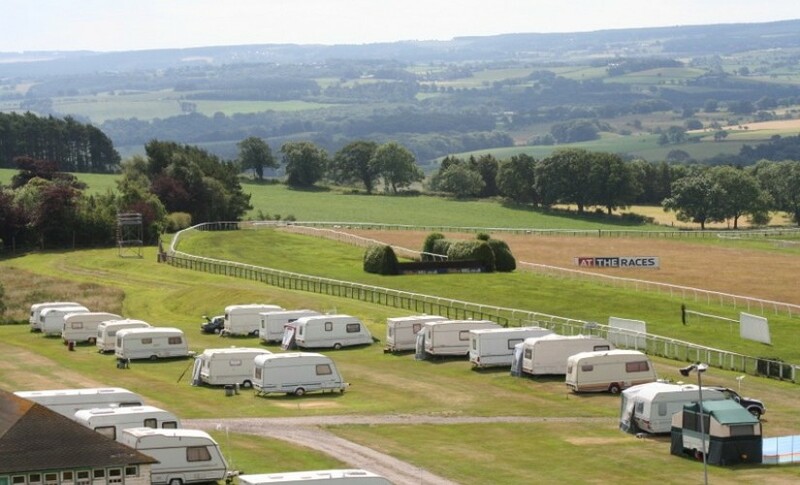 Located next to the track the caravan and camping site enjoys stunning southerly views of the racecourse and the magnificent Northumberland countryside. Situated two miles south of Hexham, the site provides an ideal base for exploring the ancient market town. With its magnificent Abbey founded in 674 AD, Moot Hall, Old Gaol and Market Place, there is also the more modern Queen’s Hall which houses the library, art gallery and theatre, together with many independent shops, restaurants and eateries, located around the town. Northumberland’s National Park and Hadrian’s Wall, with its many forts and places of interest is only 7 miles away, also centrally situated between the Solway and the beautiful Northumbrian Coast the site is ideal for those who enjoy cycling, hiking and the outdoors, with no shortage of things to do. Visitors to the park benefit from reduced admission to the Paddock Enclosure on race days with tickets priced at £9.00 and under 18’s allowed in free providing they are accompanied by an adult. If you are looking for that extra something during your stay and day at the races, we also have dining packages available. 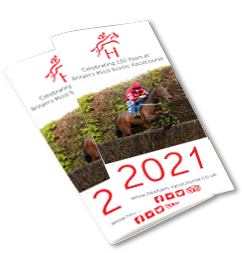 Further details of these and forthcoming fixtures, are available to view on the website or contact the Racecourse Office on 01434 606881. The caravan and camping site is currently undergoing redevelopment with planning permission received for a new office, shower, toilets and laundry which we anticipate being completed in the first half of 2019. 40 Touring Sites with Electricity Hook Up Points. Drinking Water, Waste Water, Chemical Disposal Points. For further details of availability and to book please contact the Caravan and Camping Site on 01434 606847. We are in the process of finalising the installation of 20 static caravan pitches which will be ready for occupation in 2019. In association with Ideal Caravans we are currently marketing the pitches, with a wide choice of caravans available. The caravans will enjoy 11 months occupancy commencing on 1st March until 31st January. Anyone wishing to view the show caravan or requiring further details on ownership should contact the Racecourse Office 01434 606881 or Ideal Caravans 0191 378 0146.